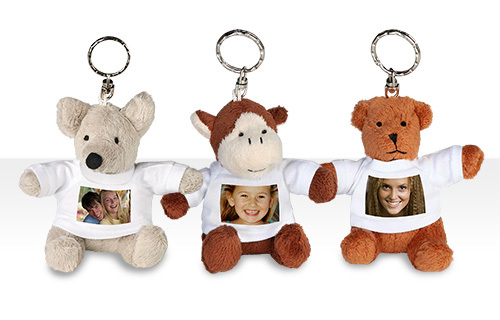 These cute soft toy keyrings are not just all the rage with children. And when the little animals also have a T-shirt with your picture on it, nobody can resist them. They are just too cute! 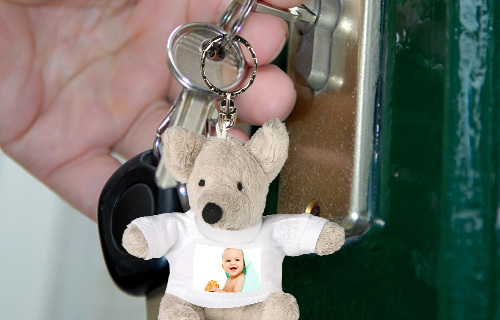 With a practical metal ring and soft granular filling for that extra cuddly effect, they make great key fobs, mascots or pocket companions!